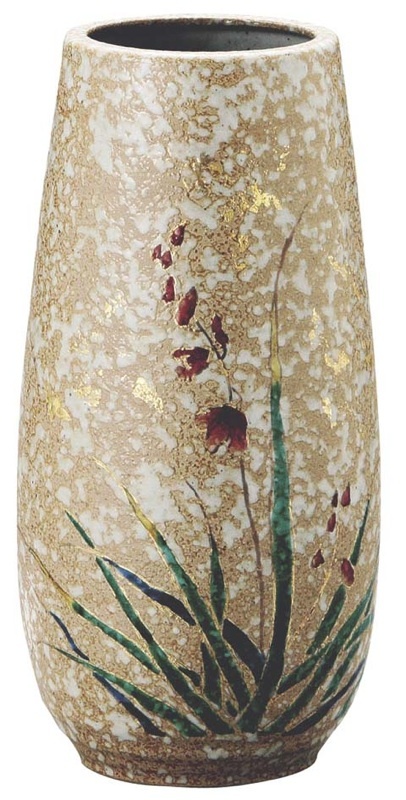 This is a Japanese KUTANI ware vase. Kutani ware is made in Kanazawa area in Ishikawa Prefecture. Smooth porcelain with colorful designs. The colorfulness is the most conspicuous characteristic of Kutani ware. Green, purple, yellow, dark blue, red are the five colors used to paint Kutani ware. Flowers, birds, mountains, seasonal matters, classical patterns are often designed on Kutani ware; with the five gorgeous colors, the design compositions are often described as playful or bold. The elaborate design created by Shouza Kutani is called “Saishoku-kinranshu,” which is also known as “Japan Kutani”. 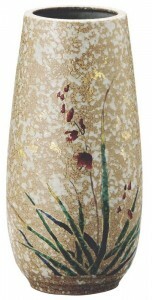 In Meiji period (1868 – 1912), “Japan Kutani” established as luxurious ware in the world.